While OnePlus One was dubbed as the flagship killer of 2014, LG has shifted the spotlight from the Galaxy S5 and HTC One M8 to their newly released the LG G3 with outstanding features and an amazing display. Samsung has been doing great with their Galaxy S series but with the release of Galaxy S5, it seemed to be an upgraded version of the Galaxy S4. For HTC One M8, the same thing can be stated but with the incorporation of the dual camera at the rear, it did get some attention. 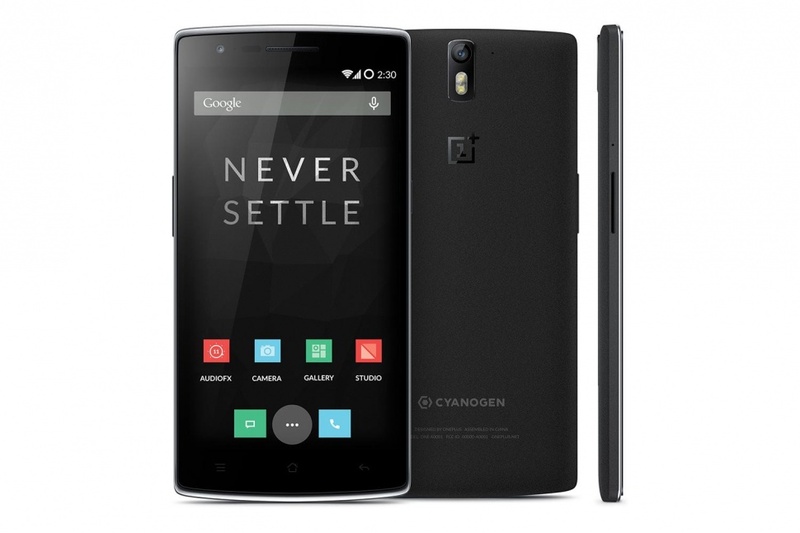 When OnePlus One was announced, it took the web by storm with people eager to buying it as soon as it got out. Unfortunately, the invite system got many stranded from buying this device. With a high-end tech spec at a killer price tag of only $300 off-contract, it literally knocks down all the other flagship devices. On the other hand, the LG G3 is LG’s best smartphone ever with such amazing features that wasn’t available in all the smartphones till date. It is evident that LG wants to raise their bar from the others. The LG G3 packs a whopping 532 ppi display which is currently the world’s first, better looking UI, selfie-camera with hand gesture and a killswitch to kill the device if it’s stolen or lost. Although the price of the LG G3 will be double of what OnePlus One has, it still has received great attention from the users worldwide. Initially I termed the OnePlus One has the beast but later with the LG G3 released, I too had to term it as another beast. Since there are two beasts in town, we better see which one’s more powerful. 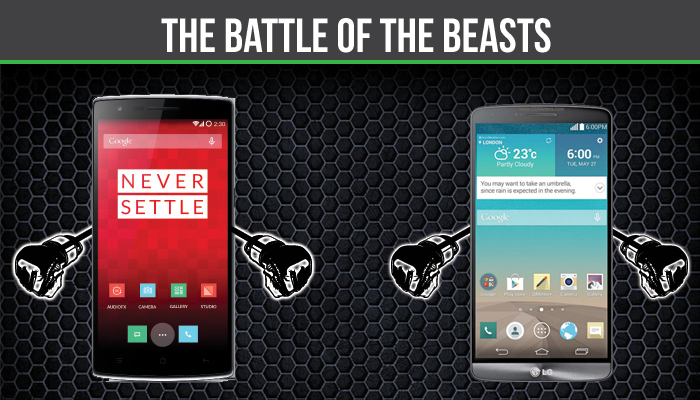 Here’s a comparison of the OnePlus One vs LG G3: The Battle of the Beasts. 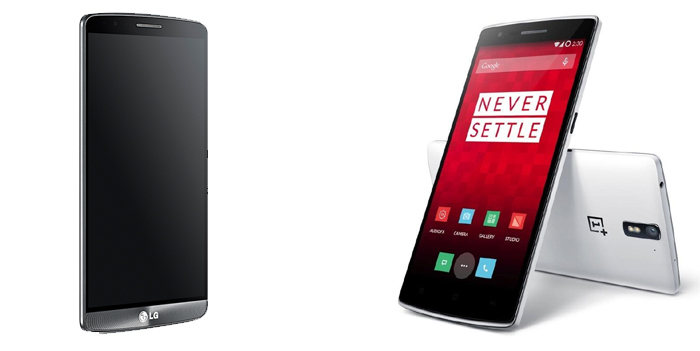 Both the OnePlus One and LG G3 share a brilliant design body and a sleek design. The thickness of both the smartphones are the same but the OnePlus One stands taller at 75.9mm whereas the G3 stands at 74.6. What’s best is that both of them have the same thickness, 8.9 mm. If one was even .1 mm thicker, this could have been a great topic for discussion, as that’s what we always do. For the OnePlus One, the rear is made out of plastic whereas the LG G3 comes with a faux-metal coating which might confuse some of it being real metal. The OnePlus One comes in black and white whereas its competitor comes in various colors such as (with featured names): Moon Violet, burgundy red, shine gold, metallica black and silk white. Although the One might lack colors, it has various rear covers such as the ones we have seen in Moto X. The selling point of LG G3 is the display, hands down. It packs a 5.5 inch True HD IPS touchscreen display with a whopping 534 ppi pixel density at a 2560 x 1440 resolution. LG has managed to dispel the myth that the eyes could be able to see only up-to 300ppi. The OnePlus One on the other hand packs a IPS LCD capacitive touchscreen with the same screen size but at a lower resolution with only 401 ppi pixel density. Both the beasts have Corning Gorilla Glass 3 to act as the first line of defense from the unbeatable scratches and smudges. Since the LG G3 has a higher resolution and obviously, 20% more PPI, LG G3 wins this round. For this section, both the smartphones use exactly the same specifications with a slight change here and there. Both the LG G3 and OnePlus one is armed with a Quad Core Qualcomm MSM8975AC Snapdragon 801 processor clocked at 2.5GHz. Since this is a killer CPU for a smartphone, there’s no reason why they shouldn’t be using it. The only distinction that can be found between them is the RAM. 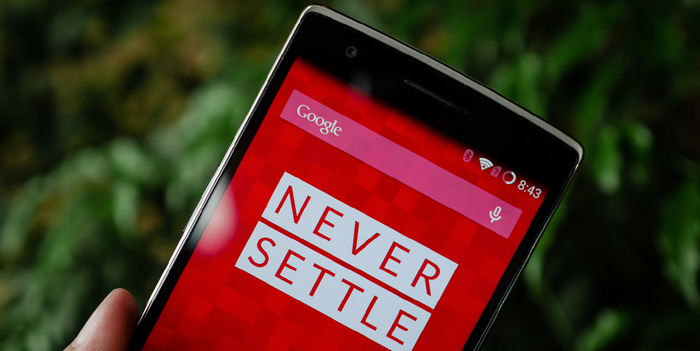 The OnePlus One, no matter whether you go for 16GB or the 64GB one, is packed with a 3GB RAM. On the other hand, the LG G3 comes in two variants: One with 2GB of RAM and 16GB internal memory and the second variant offers 32GB internal memory with 3GB of RAM. The LG G3 has a microSD slot upto 128GB whereas the OnePlus One has none. 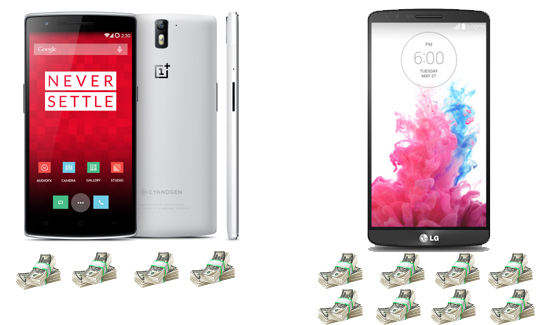 If the microSD card slot is a factor for choosing the winner, the LG G3 wins this round. The domain in which the OnePlus One shines is its software. The device comes with Cyanogen Mod 11s out of the box which happens to be a special one built for the phone. Both the beasts feature Android Kitkat OS. For the OnePlus One, there’s a lot of customisation options with features such as voice commands to let your phone wake up, pre-set gestures to launch your favorite apps, ability to play FLAC files and much more. 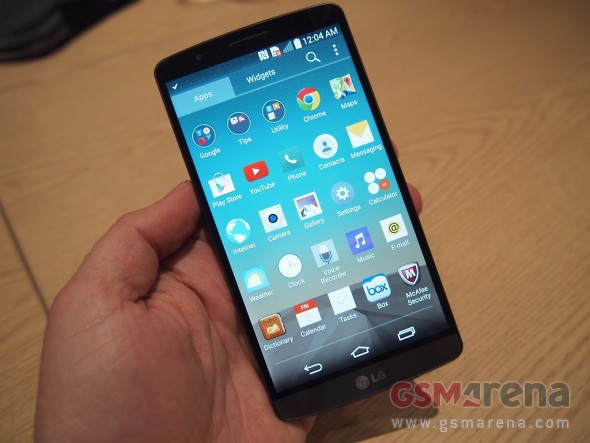 On the other hand, LG promised that the new interface in its G3 will be able to simplify everything for the users. The featue ‘Sensible Discover’ provides the users with information and reminders. In the G3, according to LG, there are 30% less pre-loaded apps on this UI version compared to the previous ones. From most hands-on reviews, the UI did not receive much acclaim as it turned out to be annoying at times. When compared to the OnePlus One, the G3 isn’t clean and efficient as the one in OnePlus. Let’s start with the basic specs first. Both devices house a 13-Megapixel camera (3096 x 4128 pixels) and have dual LED Flash. The OnePlus One uses Sony Exmor RS sensor that is joined with a 6 parts lens with f/2.0 aperture. Apart from the improved Optical image Stabilization technology, the LG G3 features a new laser autofocus that is normally seen in DSLR cameras. The camera shoots a laser beam to reach the object and calculate the distance between the object and the camera to move the lense to get the perfect focus for an awesome shot. For the front facing camera, the OnePlus One packs a 5MP camera whereas the LG G3 comes with a 2.1-MP camera for decent selfies. As selfies is becoming a world wide trend, the front facing camera might be a deciding factor as well. LG has engineered the Selfie Cam with a large image sensor that would ensure improved image quality.The selfie cam also does an interesting trick where if the hand is raised and a countdown is triggered from three to one. It’s mainly designed so that the users with friends and families can get the time to pose and have the ultimate selfies. This round surely goes to LG G3. The LG G3 packs a 3000 mAh removable battery at its back whereas the OnePlus one comes with a non removable Li-Po 3100 mAh battery. Winner? Surely, LG G3 for having a removable battery! The most important factor of all. From the comparison, it is evident that with a little bit of added feature in the LG G3, both the smartphones have almost the same capabilities. The 16GB LG G3 costs around $690 and the 32GB one at $740. OnePlus One, with such amazing features and performance has a price tag half of what LG has. The 16GB variant carries a price tag of only $300 and a 64GB at only $50 more. A lot of factors, as discussed above can be considered. The LG G3 has superior camera capabilities with its powerful Laser Auto Focus, 4K recording and hand-gesture selfie camera. The most important advantage over the OnePlus One is the amazing display which is by far the best. So if you value display and the camera abilities, LG G3 is for you as it also has an expandable storage. However, if you’re on a tight budget, the OnePlus One has wallet friendly price that is, as you have seen, way cheaper than that of LG G3. While the device might not boast the best display in the market, it offers a comparable rear camera, equal hardware performance, higher RAM, better front camera and a splendid CyanogenMod 11s OS. From my end, I would definitely go for the OnePlus One because of the awesome price tag it carries. What about you? Which one would you go for? LOL, yeah, when I read the headline, your conclusion was immediately what came to mind. How can the LG or anything even compete when offering such a similar product at 2x the price?